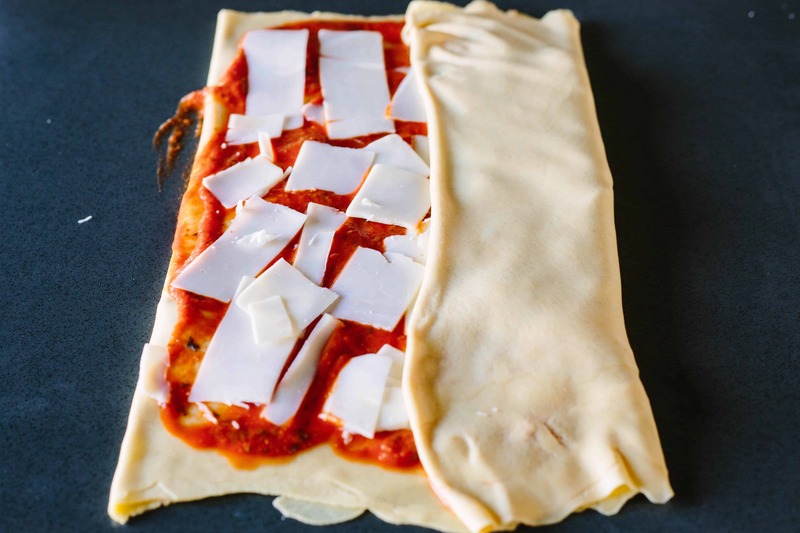 This traditional recipe for Scaccia Ragusana is a simple and unique bread preparation from Sicily. It’s surprisingly easier to make than it looks! You may have heard of Scaccia Ragusana before, but I would be willing to bet that maybe you haven’t. I hadn’t until I saw it in an issue of Saveur magazine a while back, and it’s been on my to-make list ever since. 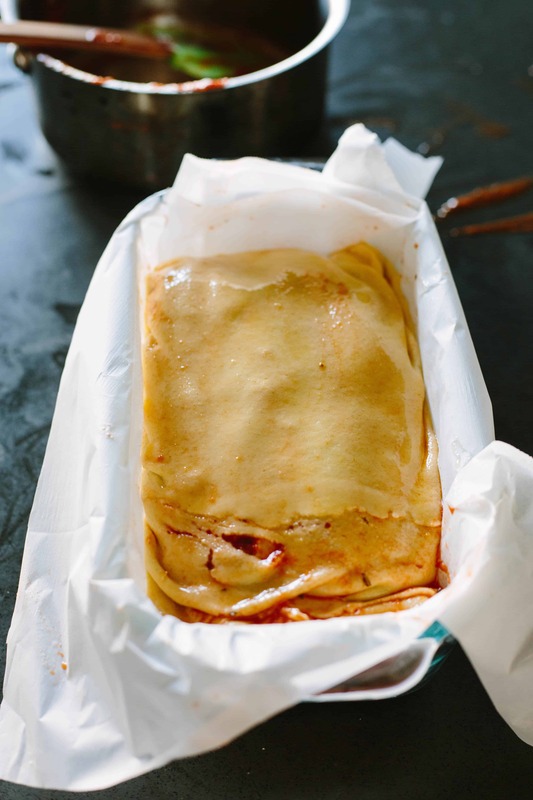 This Sicilian delicacy is familiar, yet somehow unlike anything of it’s kind. 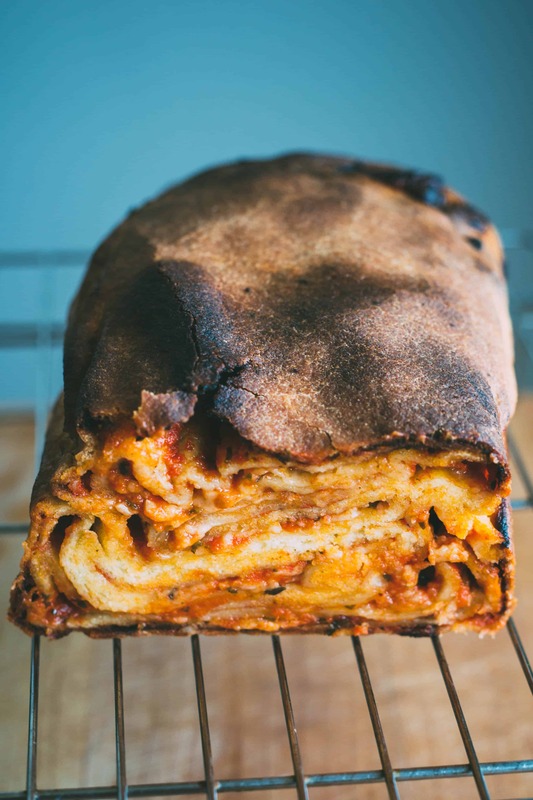 A second cousin of stromboli, perhaps, but I like to think of it more as a “pizza babka” with all of its thin, folded layers. 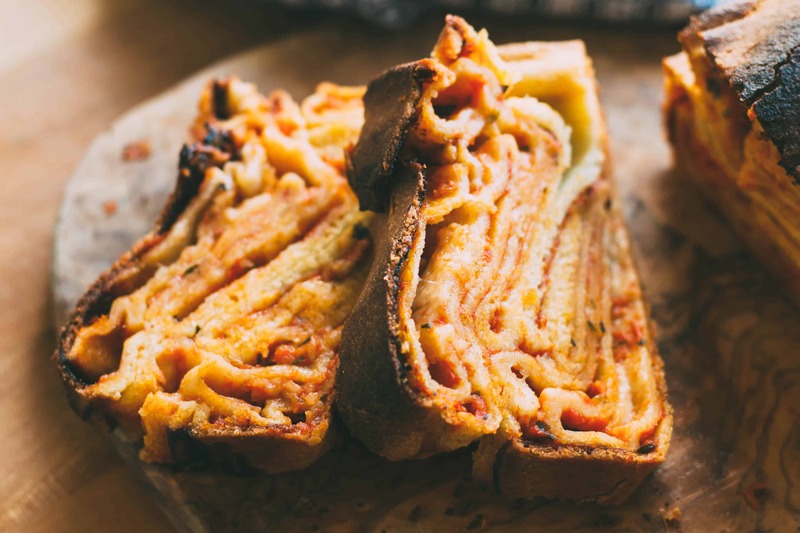 Saveur calls it lasagna bread, which is fitting I suppose, but I like pizza babka better. Now, I know I comment on the weather a lot, and I was trying to refrain today, but it’s hard put together coherent thoughts with all of this crazy wind and rainy pitter-patter. The east coast is currently getting pummeled by a gnarly storm, and while only a few dozen miles north they’re getting like, 20 inches of snow, here on the southern coast we have been “spared” with rain. I’ll take rain over snow any day (as long as there’s no flooding), but either way, this nasty weather is for the birds. Get it together, March. Spring is going to be here any minute! Oh well, I guess if nothing else it’s a good excuse to stay inside and bake. 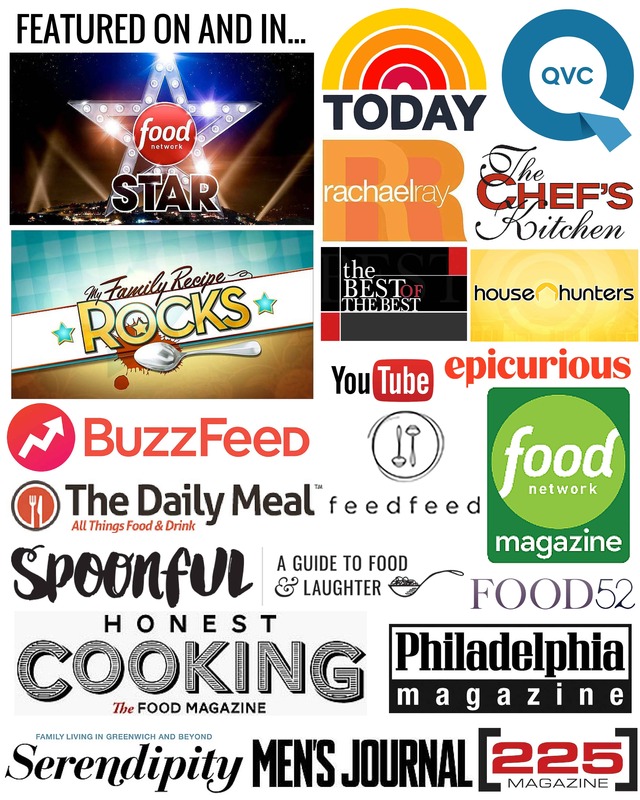 So bring on the pizza babka. 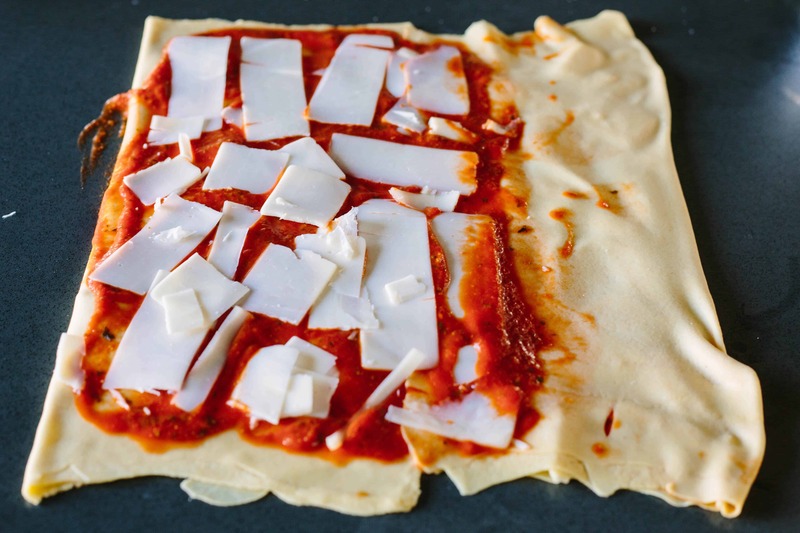 Dough, tomato sauce, and cheese. The Italians mash these three ingredients up in so many different ways and they’re all always delicious. Calzones, stromboli, lasagna, ravioli, and of course, pizza. Even bad pizza is still pretty damn tasty. Scaccia is a new one for me, and it’s decidedly different than the others. The dough is made with semolina flour, water, a touch of olive oil, and only a small amount of yeast. It’s very different from pizza dough – much denser. It’s more similar to a pasta dough, only no eggs, there’s yeast involved (sometimes), and also… okay, it’s just different. Scaccia is really it’s own thing entirely, and that’s what makes it so special. I held off on making this recipe for so long for a few different reasons, but the main one was that it seemed like a daunting all-day project. 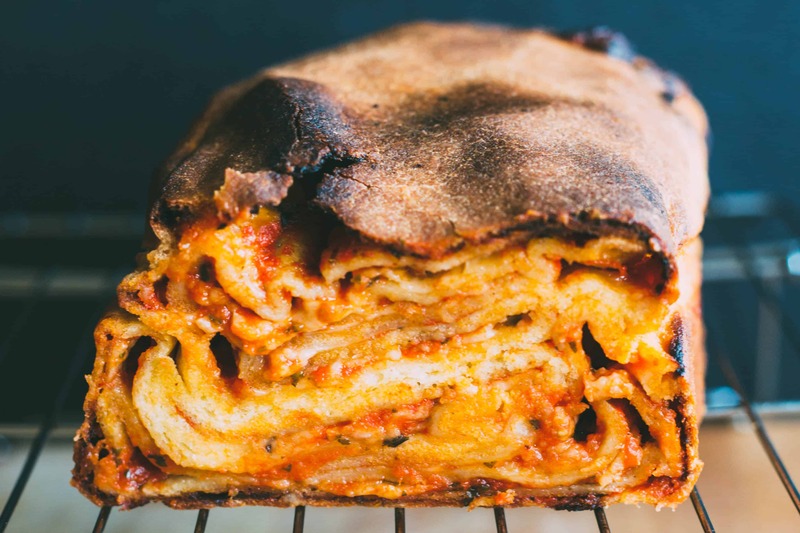 It was surprisingly easy and straightforward to make, at least when compared to other baked goods, like actual babka… or lasagna. The dough is really simple and doesn’t even require a mixer. Rolling it out was arguably the hardest part. I couldn’t seem to get it any thinner than I did, and yet once it was all said and done, I wished that I had tried a little harder. The thinner you can get those inner layers, the better the final result will be. Use your muscles and take as long as you need. The sauce is as basic as a sauce can get. I love the addition of fresh basil, and as soon as it hit the warm pan it brought back intense, nostalgic whiffs of summer. As for the cheese, I couldn’t get my hands on any caciocavallo, which is what the recipe called for. The closest place that carries it is about a 45 minute drive, and I haven’t had the time or motivation to make that trek. So I tried subbing a mild provolone, and I think it worked out just fine. Next time, however, if I’m still too lazy busy to get the caciocavallo, I may add a little pecorino Romano into the mix as well. And you better believe there is going to be a next time. And a time after that, and a time after that. This is a recipe I plan on making again and again. 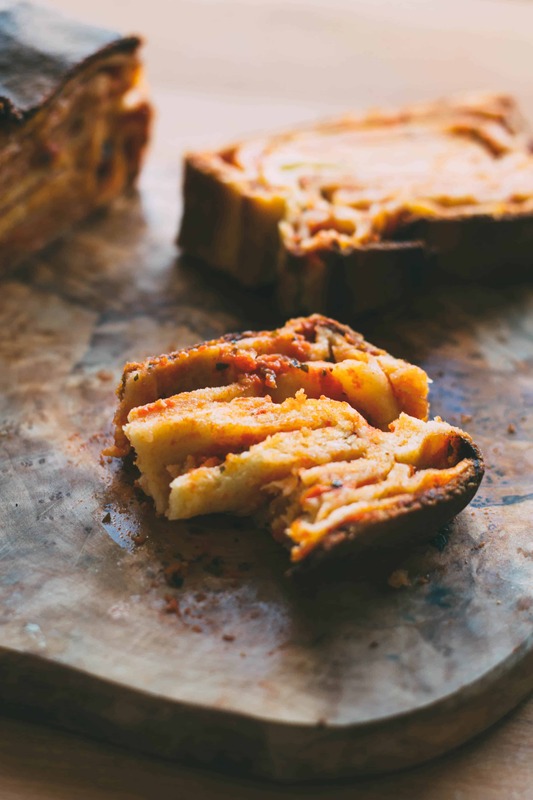 For something that appears so intricate and layered, scaccia is actually pretty simple to throw together, and fairly forgiving at that. I made the mistake of being super hungry when I set out to photograph this recipe, which is why the finished photos are somewhat lacking. It was hot and gooey and smelled amazing. I couldn’t keep my grubby fingers from snatching up little bits until I just said, oh screw it, and proceeded to eat half of the entire loaf by myself in a matter of minutes. I have a sneaking feeling that same thing might happen again today, only this time, I don’t have to take any pesky pictures. To all my east coasters out there: stay warm and dry (and definitely make scaccia). 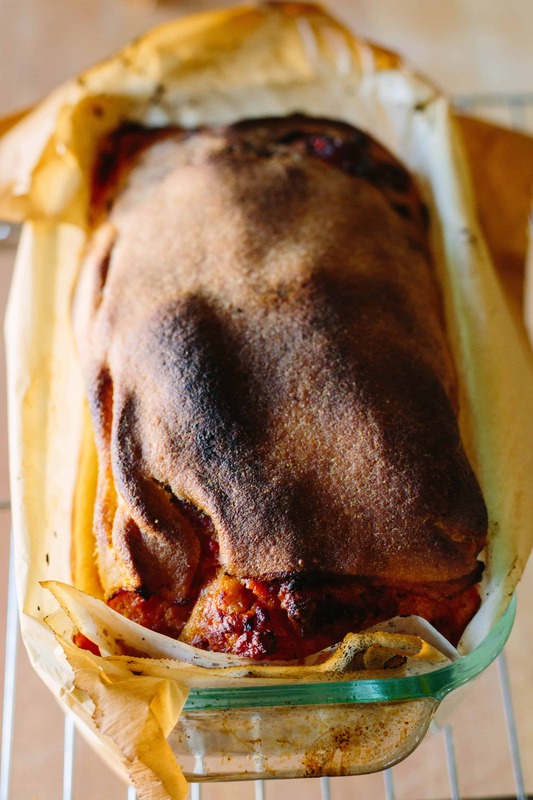 This traditional recipe for Scaccia Ragusana is a simple and unique bread preparation from Sicily. It’s surprisingly easier to make than it looks! Adapted from Saveur Magazine. Whisk together 1⁄4 teaspoon sugar, yeast, and water in a large bowl. Let rest about 10 minutes or until foamy. Add the semolina flour, 1 tablespoon olive oil, and 1⁄2 teaspoon salt and mix until the dough just comes together. Transfer to a very lightly floured work surface and knead until smooth and elastic, about 5-8 minutes. Lightly rub a bowl with oil, place the dough inside, cover and let rise in a warm, draft free place until doubled in size, about 2 hours. While the dough rests, make the sauce. Add the remaining tablespoon olive oil to a medium saucepan. Add the garlic and cook over medium heat, until it just starts to turn golden, about 2 minutes. Add the tomatoes to the saucepan and use the back of a spoon to break them up. Add the remaining teaspoon of sugar and season with salt. Cook for about 10 minutes, or until some of the liquid has evaporated. Turn off the heat, add the basil, then use an immersion blender to puree everything until smooth. Taste, and adjust the seasoning as needed. 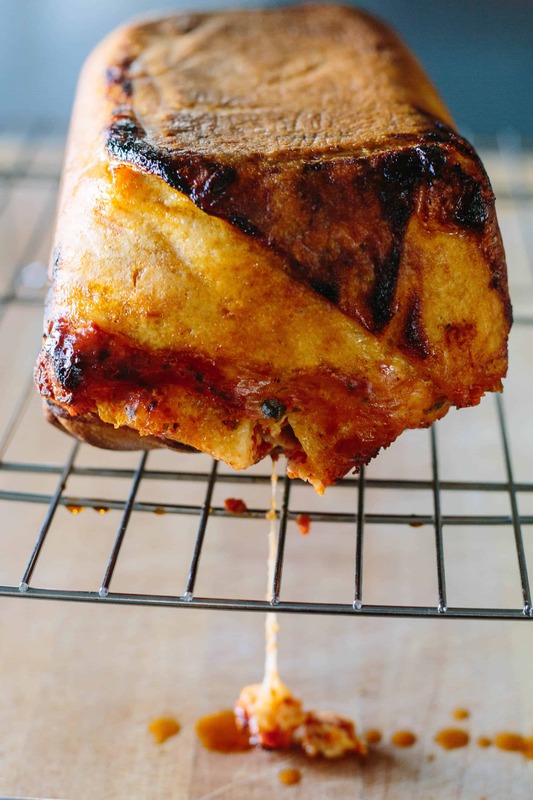 Heat the oven to 450 degrees F. Line a 9-by-5-inch (or similar) loaf pan with parchment paper. Transfer the dough on to a large, lightly floured work surface, then use a rolling pin to roll the dough out as thin as possible. Try to get it to a 26-by-18-inch rectangle, or even larger if you can. 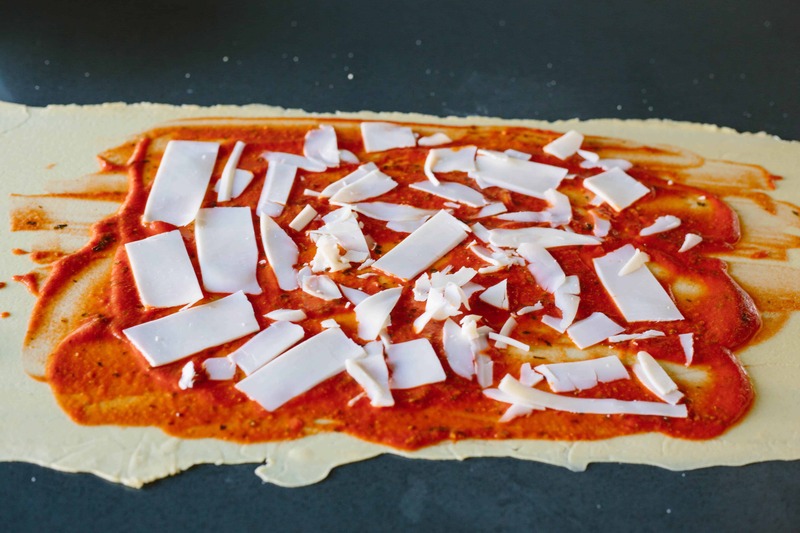 Position the dough lengthwise in front of you, then spread half of the tomato sauce over the middle third. Sprinkle with half of the cheese, then fold the two sides over on to the sauce so that they overlap by only a few inches in the middle. Spread the remaining sauce over the left two thirds of the dough, then sprinkle with the rest of the cheese. Fold the righthand unsauced side over the middle part of the sauced side, then fold the lefthand sauced side over that, like folding a letter. Fold the dough crosswise, then tuck the whole thing into the prepared loaf pan. Brush the top with olive oil, then bake in the hot oven for about 1 hour. 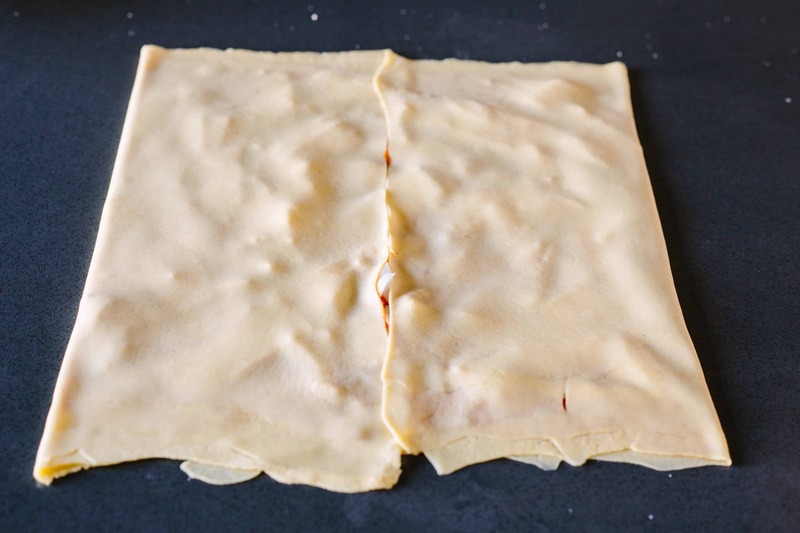 Immediately invert the scaccia onto a rack, then remove the loaf pan and parchment paper. Let the loaf cool in this position for 10 minutes. Turn the loaf right-side-up, then slice into thick pieces and serve warm. That’s beautiful. A perfect recipe for this rainy day. Yep, it’s raining in south Florida, too. I doubt I could find that cheese in a hundred-mile radius from here, but I’ve got all the rest on hand. Now if I can just get off the couch. I have also been lusting after this bread since hearing about it on Food Schmooze. I searched for the cheese and yesterday by chance stumbled upon it at Eataly and right next to it was the semolina flour. So it was destiny! I am in process of making it and am finding the dough VERY dry and am worried it may not work according to the recipe. But since it’s not supposed to be like a pizza dough, hoping it turns out well. Stay tuned! Oh, awesome! I’m so glad you found my post. Curious to hear how yours came out! I was actually thinking the same thing when I made mine. 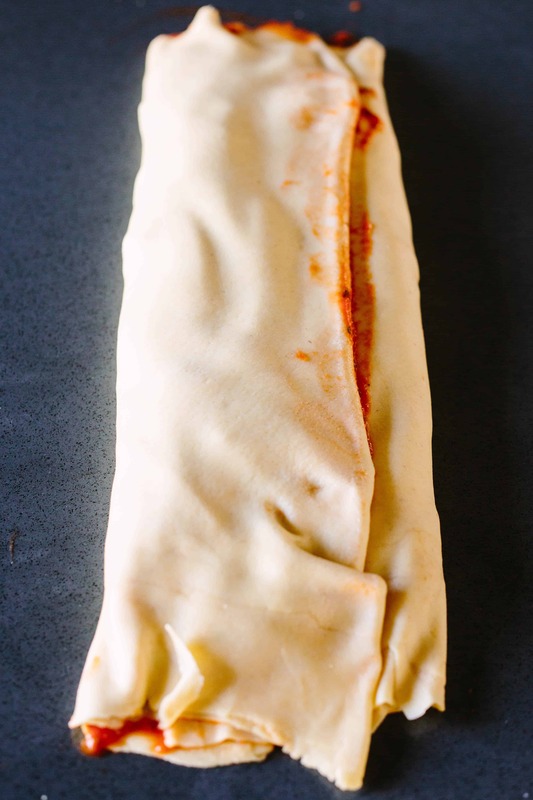 The dough was really difficult to roll out, and in hindsight, I wish I had kept at it a little longer to get it even thinner – I think that’s the trick. You can always add a light spritz of water to any dough to give it a little more moisture if it’s too dry. This recipe turned out great for me even though I had major doubts throughout the entire process. Keep me posted on yours! Just tried this last night! I did not have semolina flour or the particular cheese so I substituted with bread flour and mozzarella. It was delicious! My only issue was with the baking. Mine looked done after only 35 minutes, and although the inside was still a little undercooked, I didn’t want the outside getting any crispier than it already was. Do you think covering it in foil may help keep the top less crisp? Or any other suggestions? Otherwise, I loved it! Horray! So glad you enjoyed the recipe. I, too, was alarmed at the high baking temp and long baking time, but I kept it in there just to see how the recipe would fare and I was glad I did. The super dark outer crust looked overdone, but it wasn’t. It was crusty with a toasted flavor and inside was moist, soft perfection. The outside didn’t taste burnt at all. You can try covering with foil, but trust me, the crispiness is really delicious! If you try it again, let me know! Horay! So glad you enjoyed the recipe. I, too, was alarmed at the high baking temp and long baking time, but I kept it in there just to see how the recipe would fare and I was glad I did. The super dark outer crust looked overdone, but it wasn’t. It was crusty with a toasted flavor and inside was moist, soft perfection. The outside didn’t taste burnt at all. You can try covering with foil, but trust me, the crispiness is really delicious! If you try it again, let me know!